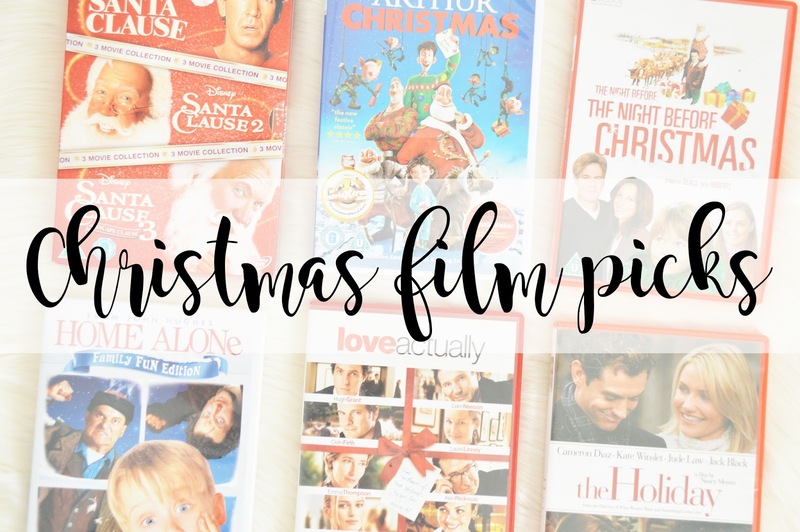 Today I am sharing my Christmas Film Picks with you lovely lot! It's thirteen days till Christmas and I think it's safe to say it's okay to start watching Christmas Films now, right? I think so. This year I have finally bought Christmas Films as before I only had 2. Two Christmas films and I am 19?! Where have I been all of my life? Everyone has a few of their favourite Christmas Films and by far Tm Allen's Santa Clause movies are definitely in my top five favourites! I'm not entirely sure what it is about them but they give me this fuzzy feeling inside filled with happiness. I've never actually seen Arthur Christmas, I never even knew it was a film until this year so I am very excited to watch it. Don't you worry, I have bought it ready for the run up to Christmas when I have finished work! I always saw this as a Halloween film, not realising that it's actually Christmas too. I love this film, and when I was younger, I absolutely hated it (till the point I had nightmares). If you haven't seen this film, I feel like watching it drunk will have the best effects, but it's definitely worth watching if you're sober too! I used to watch Home Alone so much when I was younger but since being a teenager, I haven't watched it once. Since it's Christmas very soon and I'm making the most of all of the Christmas films out there, I took the opportunity to buy the film and I'm going to go for a trip down memory lane! Love Actually is a classic Christmas film and absolutely beautiful. My favourite part is when the little boy gets to kiss his crush! So so cute, his Christmas dream came true! Although it is a Rom Com, I feel everyone secretly loves this film. I've never watched this film all the way through however I do remember it being a very good film and it's another one I have bought especially for this Christmas. Basically, I'm going to have a Christmas weekend, lazing around, possibly baking and watching Christmas movies too. Eeek, my absolute favourite. Polar Express has always been my favourite Christmas Film and always will be. However, last year I found out the voice of the Train man person (what do you call him), is actually Woody from Toy Story, who knew?! I cannot watch the film in the same way anymore! All I picture is Woody. The Grinch is another film I used to be scared of however I absolutely love it. I love how the girl (what's her name?) tries to help him love Christmas, and I love just the general madness and randomness of this film, it's adorable! Definitely a film worth watching. Elf is one of them Christmas Films which I always Umm and Urr about. I'm not sure if I love it or hate it, because let's admit it, he's pretty damn annoying! I know my family and my boyfriend really do not like this film, so I guess I'm the only in the household to want to watch it at Christmas. Lastly, this is another film I haven't watched at Christmas and I know apparently it is a film which everyone loves. How I haven't seen it, I'm not entirely sure however I do plan on watching it closer to Christmas. Home alone, Polar Express and Elf are my favourite ones! I love your choices. I need to watch a lot of these again this year.